As far as finding a great app or gagdget to mirror our iPhones and iPads to an HDTV or even that old-school VGA connection monitor we're pretty much limited to what AppleTV supports and lets us do. 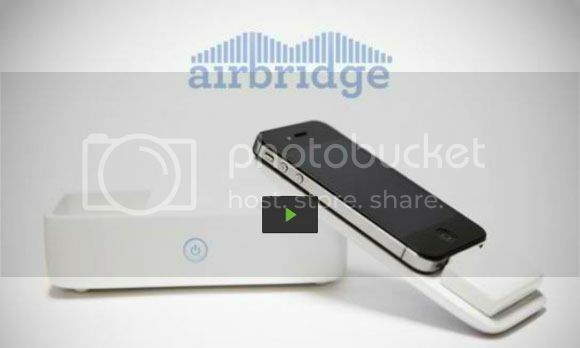 That's where Airbridge comes in. It's basically a gadget that will let you mirror whatever it is on your iOS device and beam it over your TV or monitor. All without even using any wires, not even a power adapter. That's great and all and I'm hoping to grab one when it eventually comes out. That's if it gets enough funding that is. For now just go ahead and watch the Kickstarter vid after the break and if you have the cash to spare go ahead and pledge a dollar or two.